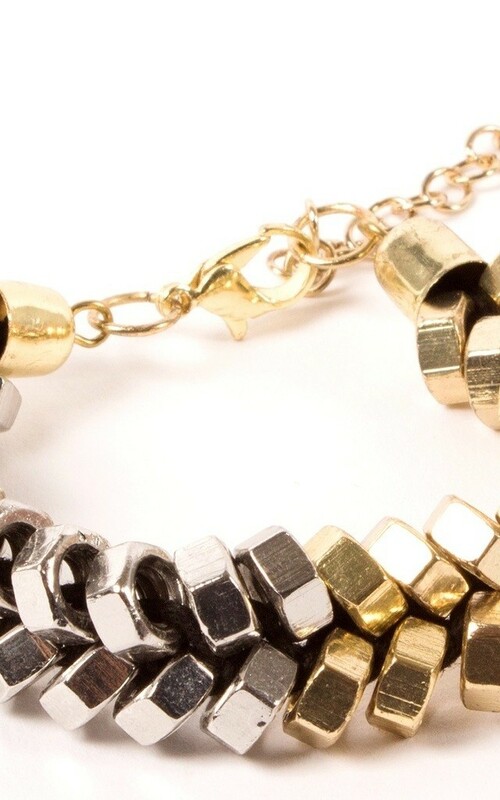 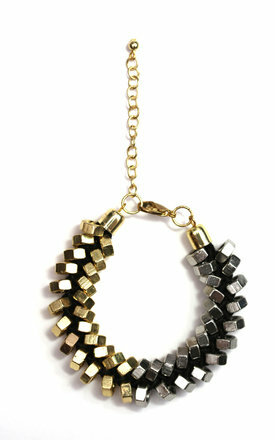 This bolts bracelet is a two tone effect, with the gold blending into the rhodium. This Souksy beauty will add high impact shine in an instant. Total bracelet length: 13cm + 5cm extension chain.